By Marlynn Wei, MD, JD, for more information on this study, see my blog post. 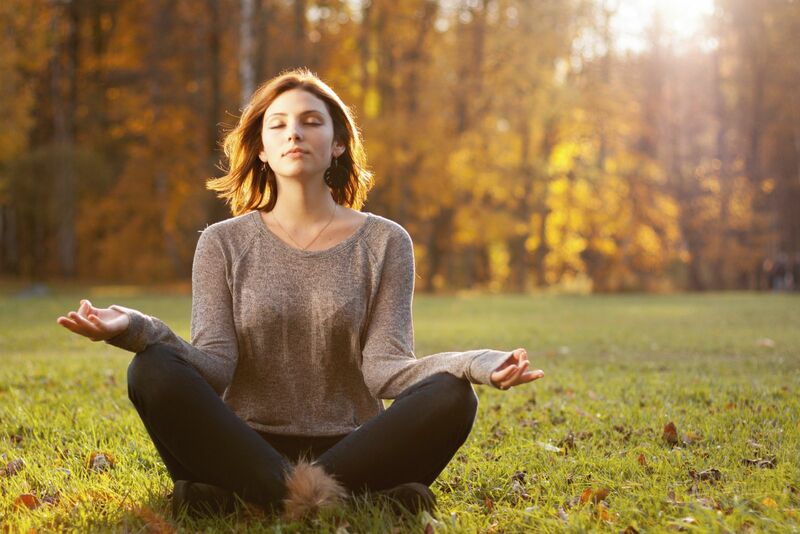 In the research conducted by Dr. James E. Stahl and his team of Harvard researchers, study volunteers participated in an 8-week mind-body relaxation program offered through the Benson-Henry Institute for Mind Body Medicine at Massachusetts General Hospital. The program taught a range of mind-body skills. 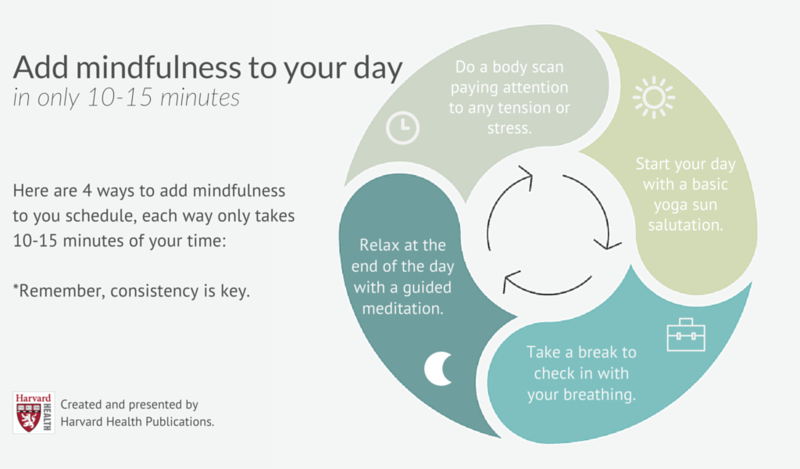 Dr. Stahl, who is now at Dartmouth-Hitchcock Medical Center, teaches his own patients mindfulness and meditation skills in his internal medicine practice and encourages people to practice daily. He says that you don't need to enroll in a formal program, or even spend a lot of time practicing — 10 to 15 minutes a day will do. Consistency is the key. Start your day with a basic Sun Salutation yoga sequence. Step back into Plank pose one foot at a time, instead of jumping back. Drop your knees to the floor in Low Plank (Four-limbed Staff) Pose to support and build your core muscles. Substitute Cobra Pose instead of Upward Facing Dog Pose for the first few salutation cycles to warm up your lower back. Check in with your breath for 10 to 15 minutes for a midday break. Close your eyes and notice where you store stress in your body. As your breath becomes slower and smoother, imagine sending your breath to that area on your inhalation. Imagine a knot loosening as your exhale. Repeat this cycle with each inhalation and exhalation. Do a body scan in 10 to 15 minutes. Find a comfortable seat or lie down. Close your eyes and breathe more deeply and slowly. First, focus your attention on your feet. Notice any tension, pain, or stress. Take deep, slow breaths as you focus your awareness on that area of your body. As if you are scanning your body with light, move your attention slowly upward. Notice how each section of your body feels as you continue to breathe slowly: your shins and knees, thighs and hips, lower back and abdomen, chest and upper back, neck and shoulders, and finally your head. Try a variety of approaches to find what sticks. Daily practice works best, but if you have a busy schedule, aim to practice at least three or four times a week. And don't give up if you feel like it's not working on the right away. These techniques are like any other skill or workout — the more you do it, the stronger you will get.